Mobile operator O2 is outsourcing the management of its customer services centres to Capita in a 10-year deal, expected to be worth about £1.2bn, but the union representing callcentre staff have threatened industrial action if jobs are transferred to the supplier. The agreement will also see Capita support O2’s efforts to increase the digital services it offers its customers. "O2 is a brand renowned for its innovative and bold approach to delivering services and, as a result, has a loyal customer base. Capita will design servicse to meet the changing preferences of customers for O2," said Paul Pindar, CEO at Capita. 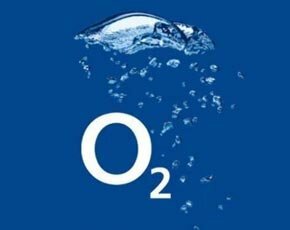 The Communications Workers Union (CWU) said last month it will use all actions at its disposal, including strike, to oppose callcentre outsourcing at O2 if reports are accurate. Last month, the Sun newspaper revealed plans at O2 to outsource callcentres and up to 1,000 jobs to Capita. "While the CWU understands this is a company that is transforming itself for the future, to take advantage of new technologies andprovide new services, any transformation plans need to take into consideration the CWU members that are affected and they need to be at the very heart of any decisions made," said a union statement. "The CWU therefore instructs the Telecom and Financial Services executive to oppose any move by O2 to outsource the majority of callcentre work as it is not in the interests of the members we represent. To oppose by all means possible, up to and including industrial action."